Art residency at Arteles this January was a good experience of withdrawing and stopping my mind and body into further investigation of line and drawing medium in general. I was fascinated by the frozen, silent landscape, brightly lid by the winter Sun and bluish shadows thrown on the snowy fields. 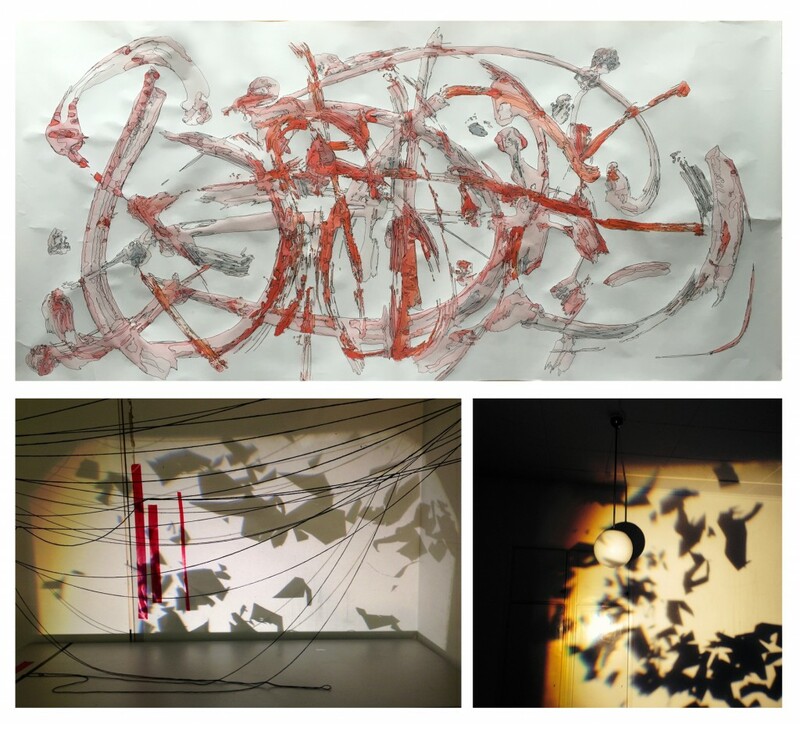 During the residency I made a series of works on paper, using acrylic and gel pen. I was a response to the meditative experience being surrounded by the beauty of untouched frozen atmosphere and also Sibelius music- heard from time to time in my studio, shared with my husband artist collaborator. 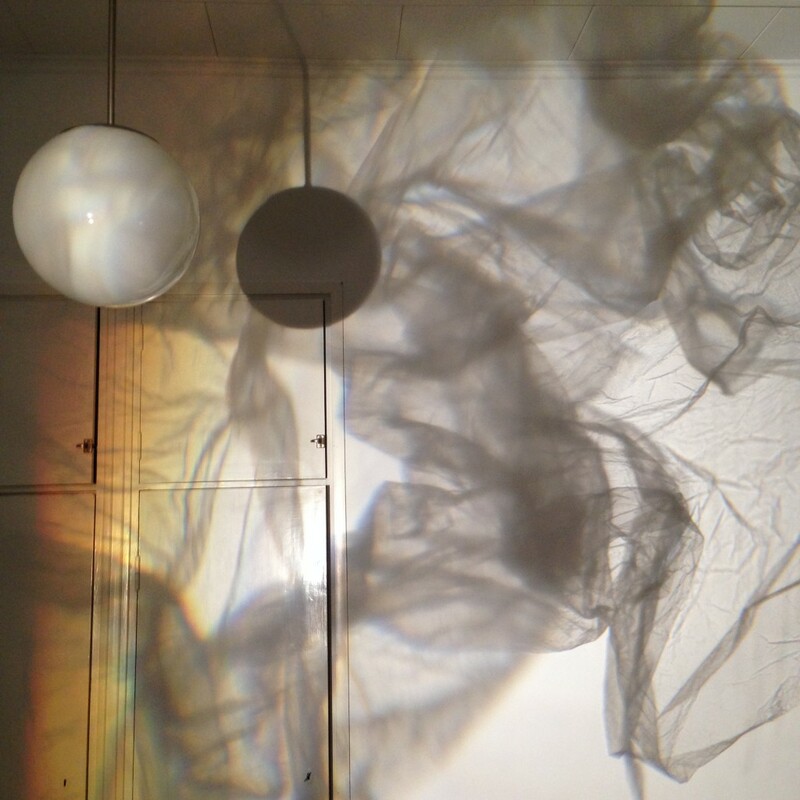 The silence during the residency – prompted me to creation of site specific installations with shadows and projections. 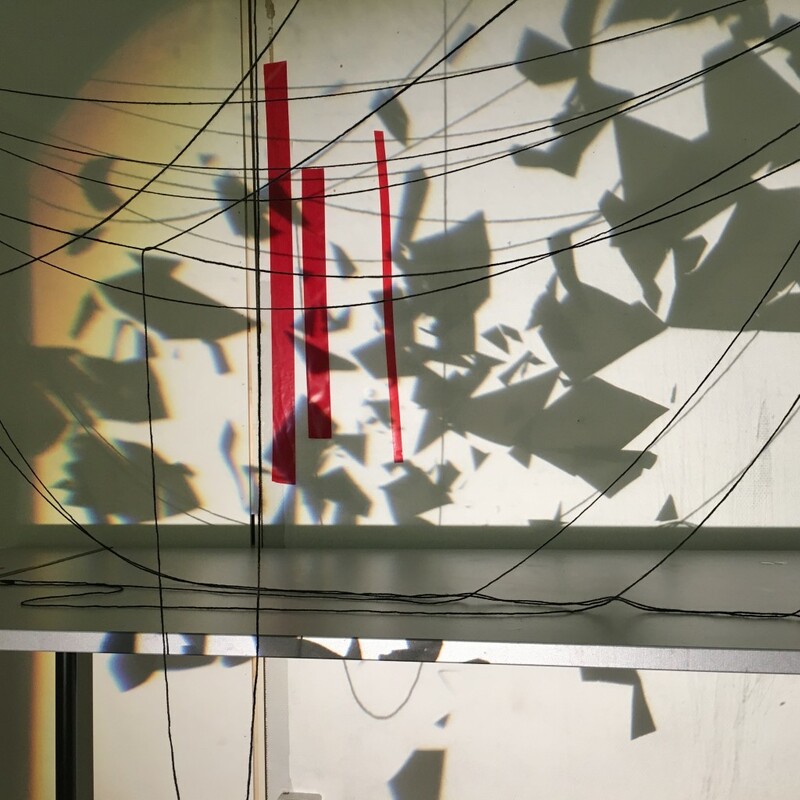 I also used moving image as an experimentation with silent video, and playful approach to abstract compositions inspired by specificity of the location and fixation on the line in different aspects of the installation. 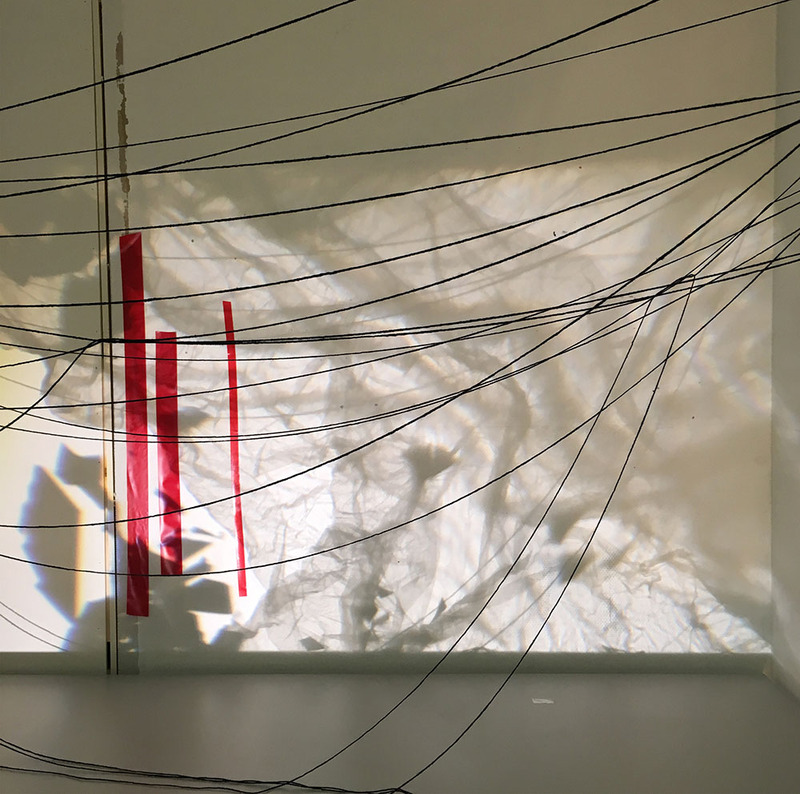 I used red and black wool – and also mixed media for recreation of the magical atmosphere, silent narration of the unknown, unspeakable. 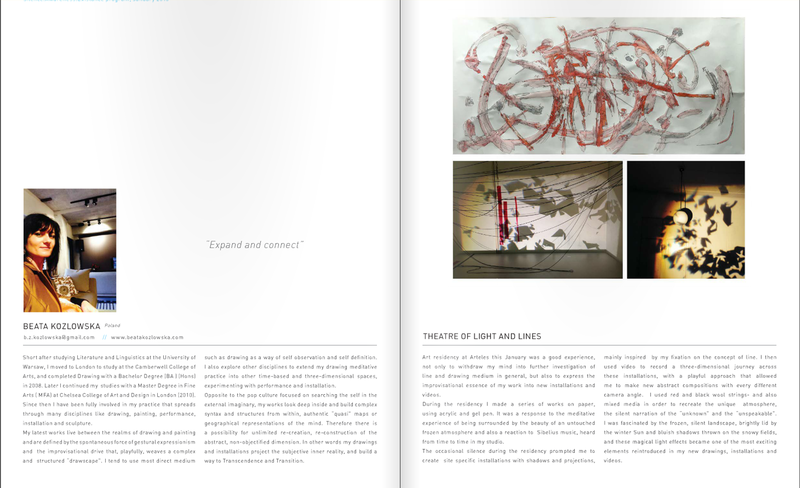 The light was one of the most exciting element reintroduced in my installation and video.